Is discouragement a disease? Can it be cured? Discouragement can show up in many ways in our lives. Sometimes it manifests as depression. 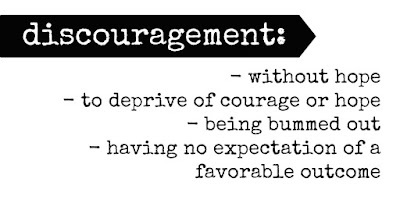 The question is how can we pull courage out of the discouragement? Let me offer some ways discouragement gets access to our lives so we can begin to close the gaps. Frustration: There is nothing worse than seeing tasks pile up and having that overwhelmed feeling. It’s natural to feel this way. When trivial things show up and interrupt you and prevent you from accomplishing what you really need to do, your frustration can easily produce discouragement. Fear: Think about this one…fear of criticism(what will they think?) fear of responsibility(what if I can't handle it?) These things can bring on the blues quickly. 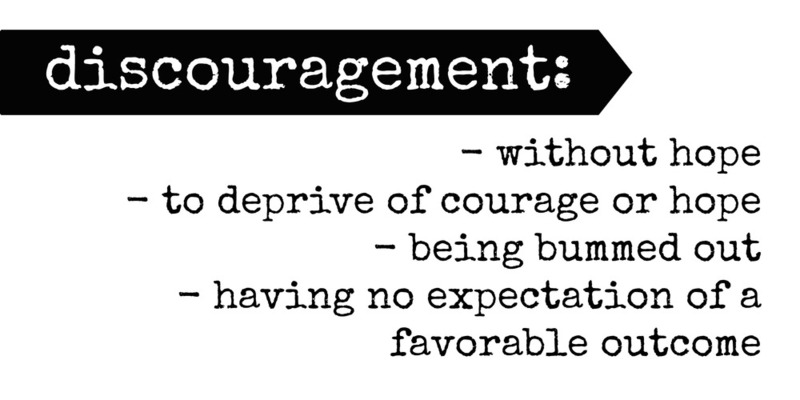 Fear is behind discouragement much more than we would like to admit. When there is fear, things won’t be clear. Failure: Plans fall apart…the project goes south…the relationship ends…the order is cancelled. What do you do?...self-pity?…blame game? One man said, just when I think I can make ends meet, somebody moves the ends! Now that’s discouraging! Charlie Brown in the Peanuts strip, complains that his baseball team always loses. Lucy, his friend, consoles him by saying “remember Charlie Brown, you learn more from your defeats than your victories”. Charlie replied,” then I must be the smartest guy in the world!” Failure is what separates discouragement from depression. The symptom of depression is brought on by fatigue, frustration and fear BUT failure can turn the symptom into something worse. In the next article, I will show you some ways to defeat discouragement and get this disease out of our lives.